These lovely ocs belong to https://jackknifecluzt-heart.deviantart.com/. 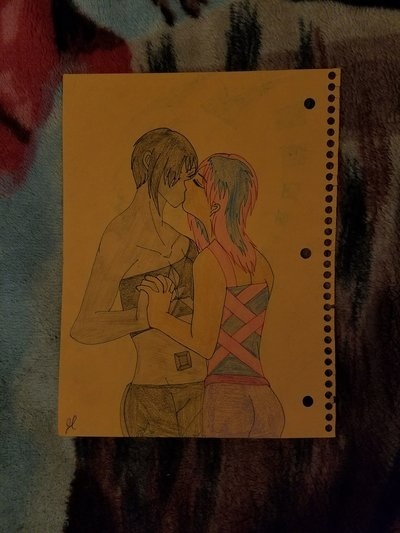 Along with this one there is two more pictures of these two that she asked me to draw. Well more like I asked her if I could draw them and two other ocs of hers and she said yes. She picked the poses for all of them.